From battling giants to surviving a fiery furnace to fishing for men, the Bible features one exciting adventure after another. 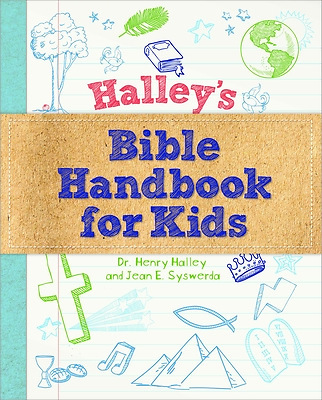 In "Halley s Bible Handbook for Kids," you ll find a treasure map that leads you straight to the most exciting, important, and life-changing parts of God s Word. This terrific guide makes it easier for you to understand the purpose of each Bible book. You ll learn about who the heroes and villains were, where and when they lived, and why they did what they did. You ll see how the details in the Bible fit together in an incredible way. And you ll find special verses to help you remember great truths about God and His promises. If you ve ever wondered why the Bible was written or what it all means for your life, "Halley s Bible Handbook for Kids "can help you discover answers. Come, join the best treasure hunt ever and see the amazing ways God cares for you!